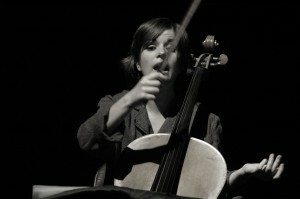 On the occasion of the launch of the first solo CD „Solitude„ (AEON) of cellist Séverine Ballon a concert with cello and electronics will take place in the exhibition „Cindy Sherman – Works from the Olbricht Collection”, on Sunday, 15 November, 4 p.m.
Séverine Ballon presents two works from her recently released CD by the composers Mauro Lanza and Thierry Blondeau. In addition, two more pieces will be heard in its German premiere, by the Berlin-based composers Wolfgang Heiniger and Aaron Einbond. All pieces of the program are premiered by Séverine Ballon and explore the infinite color palette of her instrument, the cello.